No kids classes during half term (12th-18th Feb). Term starts back on Monday 19th Feb. 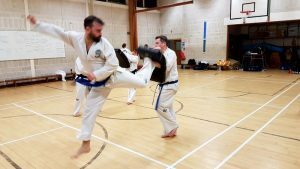 Adult classes continue on Monday and Thursday 8pm. Kids that are 12 and above are welcome to train in the adult class over half term. This entry was posted in Uncategorized on 05/02/2018 by Mr T.